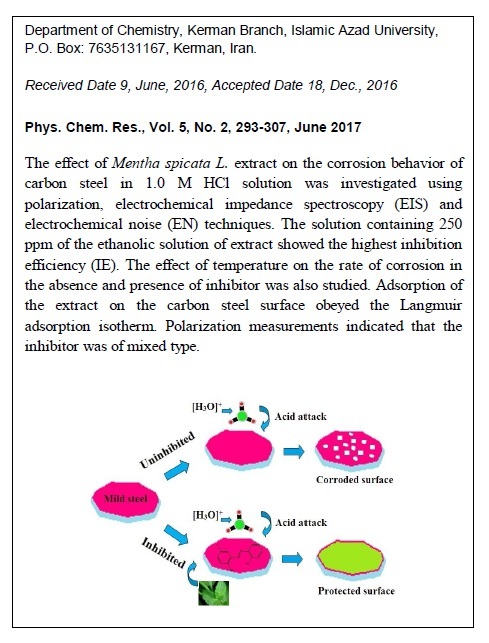 The effect of Mentha spicata L. extract on the corrosion behaviour of carbon steel in 1.0 M HCl solution was investigated using polarization, electrochemical impedance spectroscopy (EIS) and electrochemical noise (EN) techniques. The solution containing 250 ppm of the ethanolic solution of extract showed the highest inhibition efficiency (IE). The effect of temperature on the rate of corrosion in the absence and presence of inhibitor was also studied. Adsorption of extract on the carbon steel surface obeyed the Langmuir adsorption isotherm. Polarization measurements indicated that the inhibitor was of mixed type. The IE values from EN measurements showed a reasonable agreement with those obtained from polarization and EIS techniques. 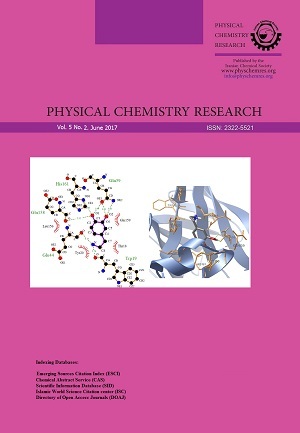 The EN method was applied as a complementary quantitative technique to study the corrosion behaviour of the inhibitor.